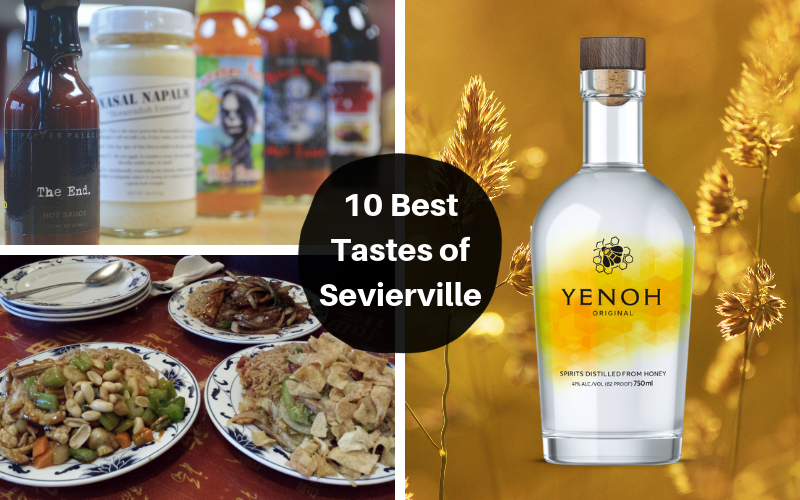 From decadent to healthy, distilled luxuries to grilled and fried savories to sugary confections, Sevierville, Tennessee offers a mouthwatering range of flavors. These best-sellers and perennial favorites are listed in alphabetical order because narrowing the list down to ten was hard enough; we couldn’t possibly rank them! Applewood Farmhouse Restaurant, Sevierville’s oldest restaurant, welcomes each guest with the opportunity to taste the No. 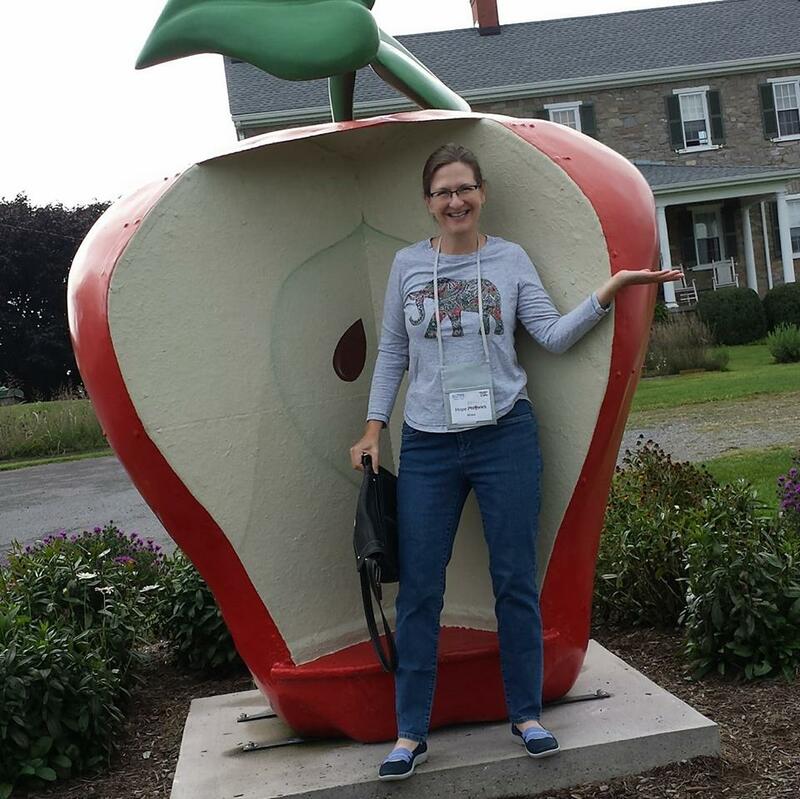 1 best-seller throughout the entire Apple Barn Cider Mill & General Store complex: its signature homemade apple butter. Every breakfast, lunch and dinner starts with a complimentary single serving of fluffy fried apple fritters paired with the popular apple butter. Looser than jam yet spreadable, the apple butter balances sweet-tart fruit flavor with cinnamon spice. Similar to hush puppies, the fried apple fritters are tender-crisp on the outside, fluffy on the inside, and served warm. The duo is a match made in culinary heaven. Apple butter is also available in the general store by the half-pint and pint jar for easy transport home. The restaurant also sells apple fritters by the half-and full dozen, perhaps knowing that once you own a jar of apple butter you won’t want to wait until you get home to start enjoying it. Among the entrées at Applewood Farmhouse Restaurant, don’t miss the Applewood famous Southern fried chicken that fries juicy meat to a crisp golden brown. Big Daddy’s Pizzeria marries hand-crafted dough with fresh, never-frozen ingredients to craft what’s accurately billed as “the best pizza in the Smokies.” The Mamma Mia pizza, the restaurant’s answer to traditional supreme, is the best-selling menu item and available in both 10-and 14-inch pies. 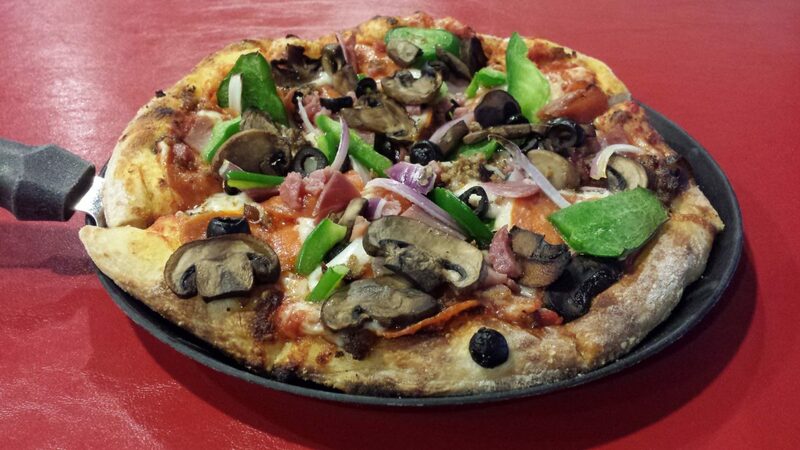 Fresh-pulled dough is topped with marinara sauce, a blend of mozzarella and provolone cheeses, pepperoni, Genoa salami, Italian sausage, prosciutto, green peppers, red onion, black olives and mushrooms. Each bite delivers a chorus of flavor. Every pizza is cooked at 550 degrees in the wood-fired brick oven for a crisp crust that puffs up to medium-thick so it’s strong enough to hold the ingredients yet with a tender Neapolitan-inspired bite. Over 12 other pizza creations are available, with culinary influences ranging from Mexican to Hawaiian to Florentine, plus you can build your own pie among the list of 40 possible ingredients. China 1 offers 110 numbered menu items plus several additional options, but its reigning best-seller is General Tso’s chicken. Lightly battered chicken is quick fried then coated with a sauce that is at once sweet, salty, spicy and sour with crave-worthy results that make tongues dance. It’s so tasty that it’s no real surprise that the second-favorite dish is sesame chicken, which is General Tso’s chicken topped with sesame seeds. While ordering, choose the spice level that suits your palate. The chicken is served with soup and pork fried rice at lunch and with a pork egg roll and fried rice at dinner. China 1, which is ranked among the top 100 Chinese restaurants in the U.S., is a local favorite where you can expect generous portions of quality food and attentive service. Sit down, dig in, and be ready to say yum. Courthouse Donuts is East Tennessee’s original design-your-own-donut shop. You get to choose an icing like chocolate or vanilla, a topping like peanuts, coconut or sprinkles, and a sauce such as caramel or marshmallow cream for your fluffy vanilla cake doughnut. Watch as it’s prepared to your specifications then bite into the deliciousness. Not feeling creative enough to develop a recipe? No problem. The menu offers 16 pre-configured taste-tested options, including the best-selling Yabba Dabba Donut that features vanilla icing and Post Fruity Pebbles cereal. Another community favorite is Terri’s Turtle that tops chocolate icing with a mix of walnut and pecan pieces and a caramel drizzle. Of course you can’t really go wrong here since every donut is delightful. The Diner has an extensive menu to satisfy any craving. Breakfast is available all day and the Sevier Skillet is a perennial favorite. It’s packed with so many ingredients that digging into it is almost like taking a tour of the menu, as hash browns and veggies arrive topped with sausage, thick-cut bacon and fresh cooked-to-order eggs plus the option of a pancake alongside. At lunch and dinner the New York City deli style Rueben is a best-seller, and it’s a staff favorite, too. The sandwich is piled high with corned beef that is cooked and sliced in-house, then topped with Swiss cheese, fresh sauerkraut and Thousand Island dressing nestled between rye bread. At The Diner, fresh ingredients are always preferred over artificial ones. Healthy Balance Meals is where good-for-you food also tastes great. Because it offers dine-in and take-out options, the restaurant also makes healthy eating convenient. Every menu item has zero trans-fat and no refined carbohydrates plus all meats are lean, cheese low fat, and produce organic. Among the range of available soups, salads, sandwiches, wraps, paninis and burgers, the top seller is the strawberry spinach salad. Served in a satisfying portion, fresh spinach leaves are topped with fresh strawberries and mandarin oranges plus dried cranberries, sunflower seeds, fat-free feta cheese, and hormone-free chicken. While poppy-seed dressing is the recommended and most popular choice, other options include fat-free ranch, raspberry, and Italian, among others. Order whatever sounds good, guilt-free! Pepper Palace, “The Planet’s Number One Hot Shop,” produces more than 1,000 products in multiple categories including hot sauce, salsa, barbecue sauce, jellies, pickles, dips, seasonings and more. So naming a top taste is tough, but we’ll seize this opportunity to brag on Smoky Mountain Hot Sauce. This proprietary blend of vinegar, chipotle peppers, brown sugar, salt, onion and garlic tingles with smoky sweet heat and is named after our region—perhaps because it’s as delightfully balanced as the juxtaposition of hot days and cool nights in the mountains. It’s such a good hot sauce don’t be surprised if you find yourself splashing it on everything. All of Pepper Palace’s award-winning products are hand-crafted at its headquarters in Sevierville in small batches using all-natural ingredients. Products are sold online and at 30 brand retail shops nationwide, including locations in Sevierville plus nearby Pigeon Forge and Gatlinburg. Sevier Distilling Company is one of only three distilleries in the world that makes a pure honey spirit (the others are located in Pennsylvania and Poland). Yenoh (pronounced ‘ya know,’ honey spelled backwards) is the delicious result of Master Distiller Chris Yett’s drive to create a unique product. Distilled from 100 percent honey with no expense spared, each bottle of the specialty spirit claims only three ingredients: honey, yeast and water. The distillery, opened in October by Yett (who just so happens to be a descendant of Sevierville’s namesake John Sevier, Tennessee’s first hero), also produces moonshine and vodka with rum, whiskey and others in the works. But Yenoh is the top-seller as well as most unique offering. Sipped straight it tastes of clean alcohol with a honey note on the finish, but added to sweet tea, ginger ale, cider or another mixer the honey flavors buzz forward and intensify. Thai Basil is a family-owned restaurant that serves flavorful, healthy Thai cuisine for lunch and dinner. The menu offers a range of authentic Thai fare including curry, stir fry, noodles, fried rice, and seafood. Each dish is cooked fresh to order so you can request the spice level, from mild to Thai hot. 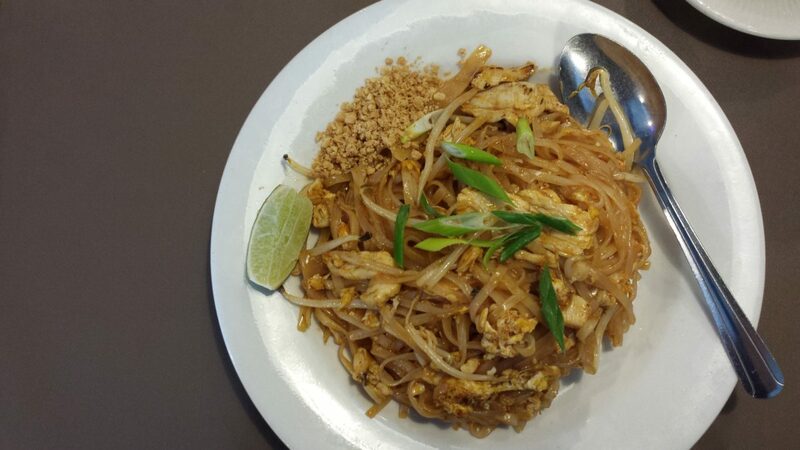 Pad Thai is a long-standing favorite that drenches thin rice noodles in a tamarind-based sauce then tops the mound with bean sprouts, eggs, scallion and peanuts plus your choice of shrimp, chicken, beef or pork. Typical street fare in Thailand, Pad Thai marries savory and sweet flavors with results that make mouths quick fans of Thai cuisine. 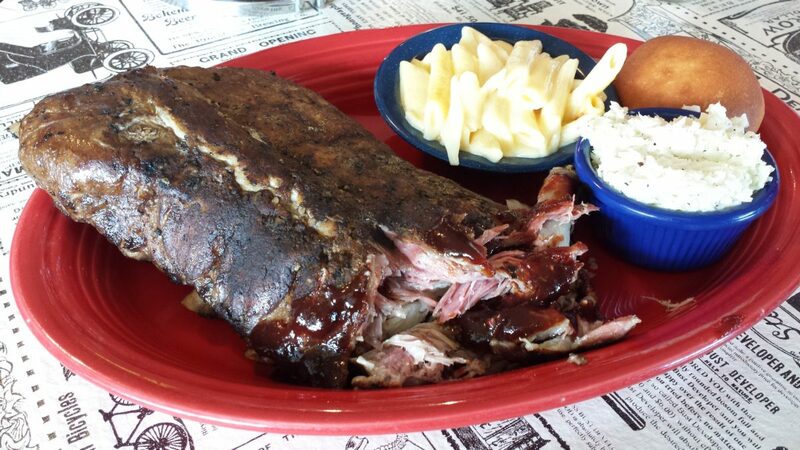 Tony Gore’s Smoky Mountain BBQ & Grill is where to find the best ribs in the Smokies. Whether you prefer baby back or St. Louis-style, the juicy meat is fall-off-the-bone tender and heavenly on its own or drizzled in your favorite among the five barbecue sauce options: sweet, spicy, smoky, mustardy and vinegary. Whether you opt for a half or full rack, rib meals include cole slaw, bread and your choice among all the equally tempting sides such as creamy mac and cheese, pork-loaded baked beans, fried okra, fresh-cut fries, or fried corn on the cob, among others. While dining you’ll be treated to a soundtrack of Southern Gospel, since restaurant owner Tony Gore is also a renowned singer and leader in that field. There’s no excuse to leave hungry, especially since the desserts include cakes that seem to defy the same physics as skyscrapers—but feeling full doesn’t mean you won’t crave more of Tony Gore’s ribs!